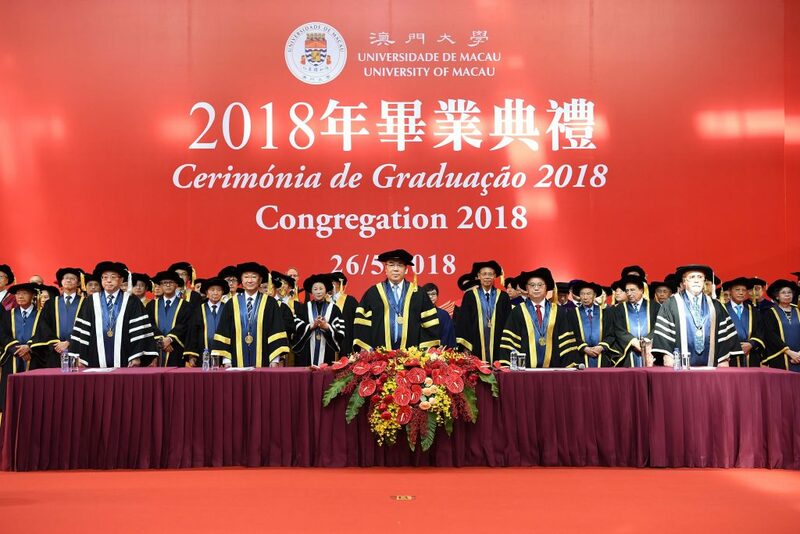 The University of Macau held the Congregation 2018. 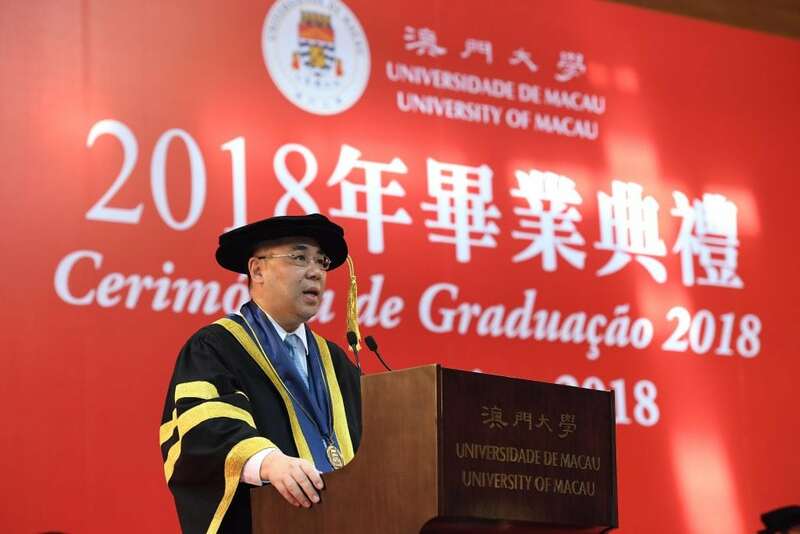 Chui Sai On, chief executive of the Macao SAR and chancellor of UM, said at the ceremony that tertiary education is key to producing talented individuals, and an ‘intellectual’ bank is important for Macao. He pledged continued support to the university in its pursuit of curriculum reform, development of the residential college system, and whole-person education. Chui officiated at the ceremony in the company of UM University Council Chair Lam Kam Seng, UM Rector Yonghua Song, and Vice Rectors Lionel Ni, Rui Martins, and Kou Mei. Nearly 4,000 people attended the ceremony, including members of the University Assembly, University Council, and Senate; government officials; prominent community members; parents of the graduates; and UM faculty and staff. In his speech, Rector Song said that in the course of its 37 years, the university has explored and forged a whole-person education model which focuses on discipline-specific education, general education, research and internship education, and community and peer education, and is running an integrated education regime in which faculties and colleges work together to achieve a synergetic effect. He added that the residential college system is the jewel in the crown of UM’s undergraduate education. It is a realisation of what the American educationalist John Dewey advocates: education is life and life is education. He said to the students, ‘Your four-year residential college life will not fade away. It simply deposits itself in you waiting to be a game changer in your future life. That’s the very reason why we have the residential college system.’ Rector Song also encouraged the students to take the university motto with them, dream big and aim high, and venture and be receptive to new ideas, for Macao, China, and beyond. This year, UM graduated more than 1,400 students from its bachelor’s degree programmes. They are from the Faculty of Arts and Humanities, Faculty of Business Administration, Faculty of Education, Faculty of Health Sciences, Faculty of Law, Faculty of Science and Technology, and Faculty of Social Sciences. 42 of the graduates have also completed programmes offered by the Honours College. At the ceremony, UM also awarded academic prizes and scholarships to 63 outstanding graduating students.